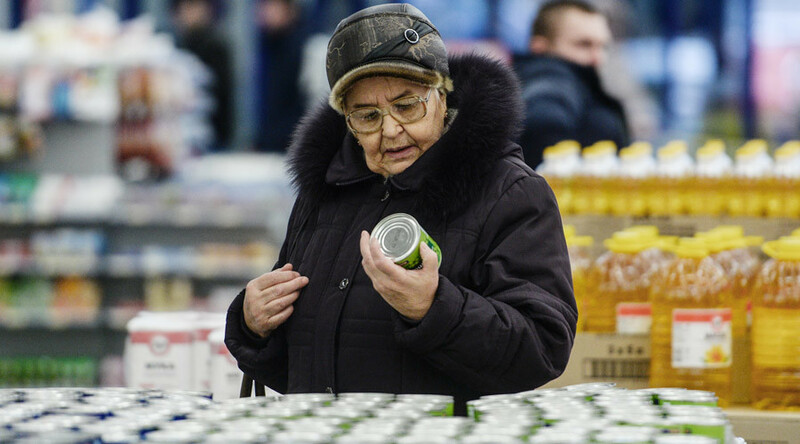 Two Russian lawmakers propose to amend the Law on Consumers’ Rights. It would demand food producers attach large and readable warnings on all GMO-containing products as well as detailed explanations of artificial additives in foodstuffs. According to the draft, information about genetically-modified organisms in food products must be printed in a large black font on a white background and the warning must cover at least 15 percent of the overall surface of the retail packaging. It must also be similar to the one used on tobacco products in Russia and in many other countries. The draft’s authors also want producers to put detailed descriptions of all artificial additives on food packaging. Currently, preserving agents, colorings and other additives are only mentioned using abbreviated names. The bill on obligatory warning of consumers was prepared by Lower House MP Aleksey Zhuravlyov who represents the ruling United Russia party and heads the nationalist Motherland party (Russian law allows political parties to give parliament seats to non-members), and Senator Valery Vasiliyev (Ivanovo Region). Zhuravlyov told Izvestia daily his bill wasn’t aimed at restricting freedom of choice for Russian citizens, but only at better information about food that people eat and give to their children. “Almost all young people today are suffering from allergies. We did not have such problems before. We are what we eat and therefore people must be informed about the food that they consume in order to make proper decisions. We are not banning anything, because there is no reliable scientific proof that some additives cause harm,” the lawmaker said. “After all, we are talking about the health of the nation and for us, parliamentarians, the health of Russians is a top priority,” he added. In late 2014, Russia approved tougher GMO labeling rules introducing fines for companies selling products containing genetically modified organisms without warning customers on the packaging. The current Russian law regulating GMO-containing foods requires a clearly visible indication on all goods that contain 0.9 percent of genetically-modified organisms by weight. Since it was introduced in 2007, the share of GMO in the Russian food industry has declined from 12 percent to just 0.01 percent, and currently there are just 57 registered food products containing GMO in the country. In September, Russian Deputy PM Arkady Dvorkovich told an international conference on biotechnology that the government planned to completely ban the use of any genetically-modified organisms or parts thereof in the food industry. However, Dvorkovich emphasized that there was a very clear line between this decision and the development of science, medicine and some other branches.